Paul Lukes, founded Paradise Garage to create a centre of excellence for the motor car. 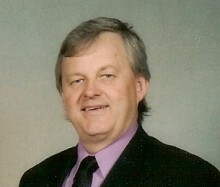 He has been active in the Australian automotive industry for over 35 years. Paul has a deep respect for the resourcefulness and craftsmanship of the early motor engineer and design pioneers. Yet, he relishes the finesse and elegance applied to many of the fine luxury cars of today. Paul Lukes is a true motoring enthusiast who is working at his hobby - simply cars. 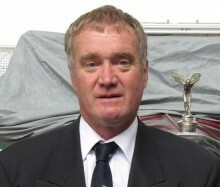 Ralph Sutton Appleby has the unique distinction of having a direct unbroken link with Sir Henry Royce and Rolls-Royce motor cars spanning more than 100 years. Ralph has been playing with the world's most beautiful cars for over 40 years. He is a world recognised authority on Rolls-Royce and Bentley Motor cars and yet he continues to be amazed by the engineering excellence and the fact that he is still learning and refining his skills on the marque. Daniel Flego commenced his automotive career as an apprentice learning the finer art of restoring and refurbishing Jaguar C & D-types. Joining Paradise Garage in 1992 he then honed his skills on current model Jaguar, Range Rover and Citroen motor cars. Daniel has been a Citroen Master Technician since 2000. Daniel has also had significant experience working in large dealerships as Service Advisor and Manager, however returning to Paradise Garage he has been able to enjoy the best of two worlds - indulge his love of fine workmanship and combine it with today's highest technology driven cars to ensure that our Customer will enjoy their motoring experiences.